The Legend of Zelda: Link’s Awakening is being remade for the Nintendo Switch! Link’s Awakening is one of my all-time favourite games so it’s great to see it coming back into the spotlight. No precise release date is set but the game will be coming out this year. Will the Oracles games soon follow next I wonder? Some readers may have fond memories of Mario Paint, so here are some resources you can use to relive the song composing part of Mario Paint. 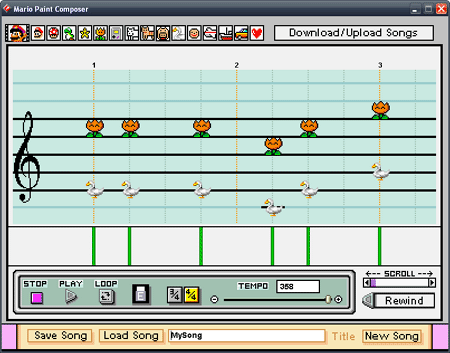 This is a program you can download to play the Mario Paint song composer on your PC or Mac. Click one of the links below to download the program for your system. If the Mario Paint Composer for PC/OSX doesn’t work for you, give this program a try. It is available for PC and OSX. Advanced Mario Sequencer is a remake of the original Mario Paint composer but with a friendlier UI and some additional editing features. This is a website the other that lets you compose Mario Paint songs right in your browser. There’s no need to download any program to your computer. Just open up the page and begin composing. It’s not a one-to-one recreation of the original but still very cool. Hi all, I have been working on moving the server to a new host and have just finished doing so. We’ll be trialing this host for a month and if we like it, we’ll just continue using it. The server address is still the same – play.wiizelda.net. If you still need access to the old host, you may access it at oldhost.wiizelda.net – but that server may go down at any time. Happy new year everyone! Beedle may be making an appearance in The Legend of Zelda: Breath of the Wild if this screenshot Nintendo released recently is anything to go by. The character wearing a large backpack over his shoulders has numerous physical similarities to Beedle. Watch the video below and let us know what you think. Nintendo has revealed its next games console, a system that you can play on the go or at home. The Nintendo Switch, previously codenamed the Nintendo ‘NX’, features a portable screen with two detachable controllers, plus a dock for placing the device in when you want to play it at home. A number of large developers and publishers have pledged their support for the console, including Activision, Bethesda, Square Enix, Atlus, Sega, and more. Nintendo has not revealed any hardware specs for the console, but they did give a release date for the system of March 2017. You can watch the console in action in the teaser video below. 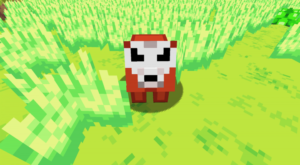 Hi everyone – today marked a new step forward for ZeldaCraft, as we have decided to upgrade our host and get a new dedicated IP for the server. Because of this, you must now use a different address to connect to our server. This new address is play.wiizelda.net. Previously, our server was running on a non-standard port, which prevented us from using a proper hostname with it. Players had to enter an IP address along with a port to play on the server, but not any more. We hope our new address will be much more memorable for players. I haven’t come across a whole load of new Zelda-themed Minecraft resources recently, but this one caught my eye. It’s a texture pack themed on The Minish Cap. As of writing it is about 75% complete, and in active development. 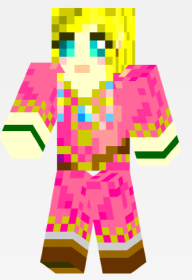 A Minecraft skin of Zelda from Skyward Sword. 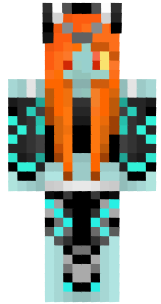 A Minecraft skin of Midna from Twilight Princess. 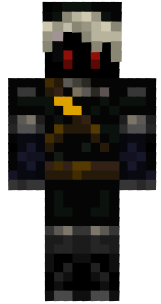 A Minecraft skin of Dark Link from Ocarina of Time.